Hanna's treatments have helped me achieve a relatively pain-free life. After being told by MDs that I would suffer muscular-skeletal pain forever, I began getting treatments from Hanna Franke. After receiving treatments over the span of 3 years or so, I can honestly say, pain is infrequent; when it does occur - one or two treatments from Hanna - and it's gone! In addition, her intervention with the Bach Flower remedies has improved my personal and spiritual life - raising my self-awareness - and improving my relationships. It's widely accepted in medicine that a person's mental and emotional states are a factor in the creation of physical disease and pain. One of the first medical doctors to discover this principle was Edward Bach, a brilliant young pioneering Welsh physician who made his first breakthrough advances in 1919 when he started treating his patient's mind-states and moods as crucial influencing factors in their diagnosed illness. Edward Bach was an early 20th century predecessor to Deepak Chopra, Wayne Dyer and Joan Borysenko today - a healer combining the logical thinking of a scientist with the penetrating insights of a mystic. Fascinated with discovering the same types of negative thoughts and moods in different patients with the same illness and pain, Bach undertook one of the first integrative clinical studies of personality and spirituality. Illness and pain are in fact just a symptom of a more basic conflict between Personality - habitual negative mind-states, internal dialogs, moods and behaviors, and Soul - our divine essence, higher self, life purpose, the very power that repairs the body when injured or ill. Behind all dis-ease lie our fears, anxieties, worries and regrets. The "cure" or solution to finding health and happiness, joy and peace in this life is in detecting negativity in thought and deed and in energizing our Self with the higher positive power of Soul, our connection to Source. Led by divine insight Bach searched out, studied, and recommended the herbs, flowers, and trees endowed with the power to align us to Source and potentiate healing. Pain Relief Specialist, Paul St. John, did extensive research at the Bach Centre in Mt. Vernon, England into the original work on the Typology and Flower Essences formulated by Edward Bach. It is this original version of Dr. Bach's teachings that we share with you in a session. Through your own efforts you come to recognize and identify your negative thoughts, underlying moods, and persistent habits. During the questionnaire session using a sublime system of personality typology you create more awareness of what type of person you really are and why you have pain in your life. And you come to see your present life situation through understanding your life purpose. From where you are, you move to a new level of awareness and understanding. Through self-awareness the positive face of the negative is discovered. 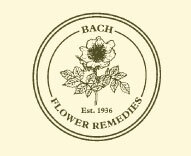 In a Bach Flower Session we do not counsel or give advice, we teach the Bach principles of self-awareness, along with the benefits and qualities of the essences needed, and the person learns what emotional, physical and spiritual changes may be expected and forthcoming. A Bach Flower Session is insightful, transforming, and often miraculous! The fee for a two-hour session is $150.